Do you have a project for the CoE? Submit a project request using this form and we'll see if it is something we can look into. The Data Link and Team Awareness Kit (TAK) pages have been updated. The CoE has released the final Satellite Messenger Evalution report. Check it out on the Satellite Messenger Project page. On January 3, 2018, the CoE submitted a proposal to be a lead agency in the FAA UAS Integration Pilot Program. If selected for this 3-year program, the CoE would work with partners to validate usage of UAS for public safety under ICS-based rules. The FAA is directed to enter an MOU with successful lead candidates by May 8, 2018. Update: The U.S. Department of Transportation announced selected projects on May 9, 2018. Unfortunately, the CoE project was not selected, at least in this initial round of 10. We congratulate those who were selected and look forward to the good work they will produce. 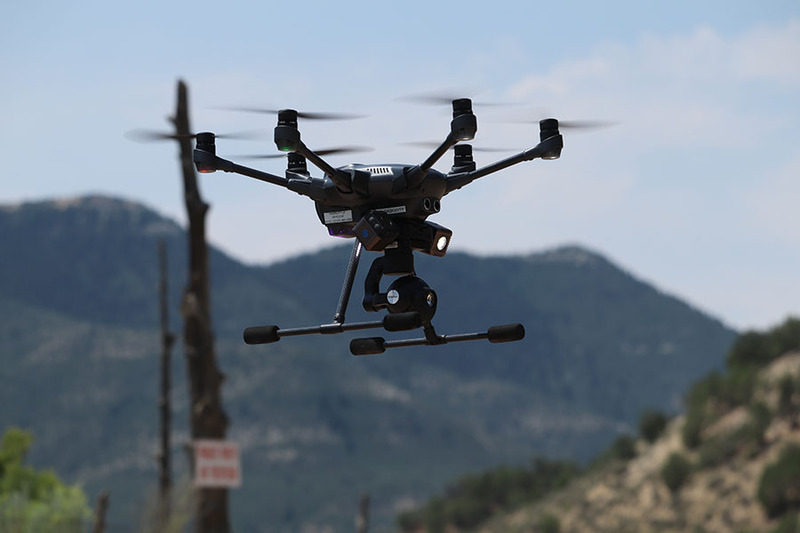 House Bill 17-1070: This act requires the CoE to conduct a study regarding the integration of UAS into government operations as they relate to public safety. Learn more about the study on the UAS Study Page. To protect the citizens, land, and resources in Colorado, the Center of Excellence will research, test, and evaluate existing and new technologies that support sustainable, effective, and efficient aerial firefighting techniques. The Center of Excellence is the worldwide leader in collaboratively researching and developing innovative technologies and capabilities supporting or related to aerial firefighting. The Center of Excellence was created in Senate Bill 14-164. During the legislative session, proponents of the Center explained that there is currently no mechanism for determining the efficacy of aerial firefighting and the need exists for an innovative, science- and data-focused research entity. For this reason, the CoE was held up as an integral part of ensuring the successful implementation of Colorado's own aerial firefighting fleet.